I got a movie that is in MPEG format. When I play it, it is perfect. Quality/Sound/everything is great. I use WinAVI converter to convert it from MPEG to DVD. I then burn it to a DVD and pop it into my DVD Player. When I play it in my DVD player, the video is choppy. I never had this problem before. What should I do? SUggest I use another video converter program or what? Thanks! What are you converting it to? I just said from MPEG to DVD..... 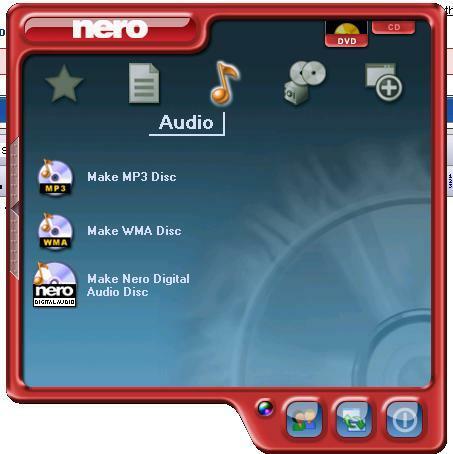 When you click DVD-Video in Nero, you can only put DVD files in it. But MPEG is the format for DVD, which version of Nero? That is not in Nero 6 Ultra Edition. There is no option to burn a video in Nero StartSmart. And I have DVD selected. I need a serial number, the one I got does not want to work. No error.. I am in the installation process and it asks for my name/company/serial number.